The Rampur Distillery, named after its home city in India’s Uttar Pradesh, started making malt whisky in 1990 for blending into its traditional molasses-based Indian whiskies and other spirits. 26 years later, Rampur’s malt whisky is entering the single malt whisky arena for the first time – joining single malts from Amrut and Paul John on the world stage. Rampur Indian Single Malt Whisky made its debut at the Wine & Spirits Wholesalers of America convention in Las Vegas, with owner Radico Khaitan planning global distribution beginning in May. Rampur Distillery is located in northern India near New Delhi, hundreds of miles north of Amrut’s Bangalore distillery and Paul John’s distillery in Goa. While it shares some of the same climate conditions that lead to rapid maturation for those whiskies, Rampur’s location in the foothills of the Himalayas create more significant temperature extremes that affect maturation. “The harsh summers are compensated by the severe winters,” Banga said in an interview with WhiskyCast’s Mark Gillespie. “It’s also got the flavor of the famous Indian summer, so it gives the really right balance to the product,” he said. Rampur’s debut comes 15 years after Amrut’s first single malt whisky took Scots by surprise during a series of tastings in Glasgow and gave whisky connoisseurs a hint of what an Indian single malt could taste like. “All hats off – Amrut really set the trend as far as Indian single malts are concerned,” Banga said. Radico Khaitan’s spirits are distributed in 66 countries worldwide, and the company intends to leverage that distribution network with Rampur. However, the debut of Rampur in the US market may be delayed. The Treasury Department’s Tax & Trade Bureau (TTB) has not yet cleared Rampur’s label approval application, a common occurrence with whiskies from non-traditional whisky-producing countries. While Banga expects no issues with label approval based on previous experience with Radico Khaitan’s other export products, it should be noted that Amrut had significant issues in receiving label approvals for its initial US export single malts before finally being cleared in 2009. TTB inspectors routinely insist on label changes to separate the country of origin from the term “single malt whisky” – usually by putting the country on a separate line. The reason dates back to the last time US spirits regulations were updated around three decades ago, when Scotland, Canada, and Ireland were the only countries exporting whisky in significant amounts. While US law allows whiskies to be imported from those countries to be defined as they are in their home countries, there is no provision in the regulations for “single malt” whiskies from other nations, often leading to lengthy negotiations between TTB inspectors and attorneys representing brand owners and importers. 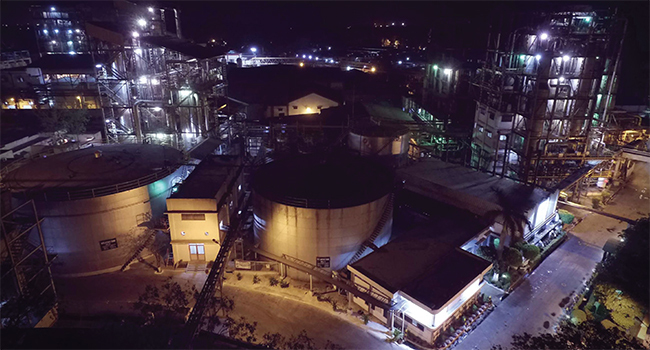 Rampur will not be available in its home market at first, since Banga describes it as a whisky for the global market with an eye to expanding the market for Indian single malts. India also has significant domestic restrictions on spirits, with some states banning alcohol sales completely and others requiring lengthy approval processes. However, the plan is eventually to make it available to Indian consumers as well. Tasting notes for Rampur are available at WhiskyCast.com. Editor’s note: Since the publication of this story, Radico Khaitan has received the necessary TTB label and formula approvals for Rampur, and plans to launch the whisky in the US and Canada this August.